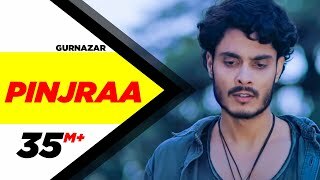 Pinjra Lyrics – Gurnazar: The Punjabi sad song is sung by Gurnazar. It has music directed by B Praak while Pinjraa lyrics are written by Jaani. The video is directed by Tru Makers – Dilsher Singh & Khushpal Singh. Mainu dhuppan de vich saarho..
Pairan de vich har din roley o..
Kite mareyan nu na maar de..